Sometimes you just need a fresh start. Whether you’re considering an addition or building a new home from scratch, these top-notch pros can turn an idea into a true masterpiece. The covetable wares at interior designer Jill Goldberg’s South End boutique run the gamut from snuggle-worthy throws and pillows to decorative brass elephants and lobsters. Whether you’re overhauling a stately Newton Tudor or building a shiny new loft in the South End, this is your go-to team for smart layouts, stunning detailing, and integrated interior and exterior spaces—in other words, exceptional contemporary design. 500 Harrison Ave., Studio 4F, Boston, 617-426-0077, hacin.com. 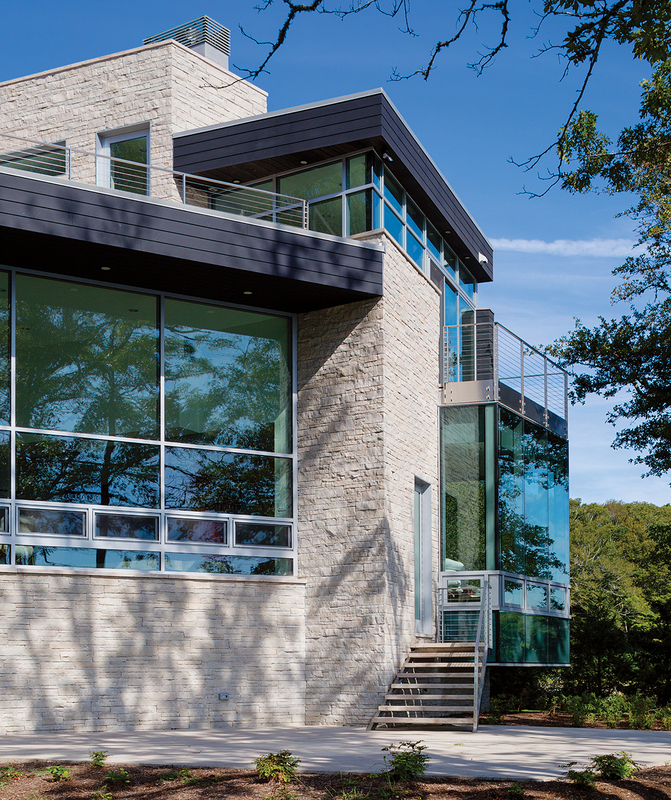 This well-connected Cambridge firm shepherds the construction process from start to finish, executing consistently excellent projects on time and on budget. 26 New St., Cambridge, 617-876-8286, shconstruction.com. Thanks to its seemingly endless compendium of luxe velvets, bold cottons, classic silks, and so much more, you can count on this Design Center standout to carry at least a dozen fabrics that you not only love, but must have. Boston Design Center, One Design Center Place, Ste. 528, Boston, 617-737-0599, romo.com. We love that nearly every chair, table, rug, and light fixture in this Newbury Street retailer’s collection, which draws inspiration from the Arts and Crafts and other design movements, is made right here in the U.S.
375 Newbury St., Boston, 617-351-0020, roomandboard.com. Lighting can make or break a room, which is why you need to explore the selection of Flos pendants, Holtkotter chandeliers, and Norwell sconces at this Southie showroom, like, yesterday. This Back Bay mainstay continues to impress us with its unmatched selection of handwoven and antique Oriental rugs, which the family-run company sources from all over the world. 333 Stuart St., Boston, 617-399-6500, landryandarcari.com. 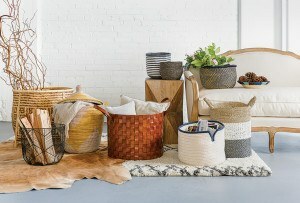 Lessons in history, design, pattern, and texture come together in a conversation-starting home goods shop that might showcase custom-made African mud-cloth pillows alongside a 19th-century adaptation of the famous Portland Vase. 163 Main St., Essex, 978-768-6045, spindlerantiques.com. Thad Siemasko and Jean Verbridge lead an award-winning team of organized, disciplined architects whose greatest talents come from knowing what makes a house a home, as seen in such recent projects as a cozy mountain retreat built into a “quiet” urban hideaway. 126 Dodge St., Beverly, 978-927-3745, svdesign.com. 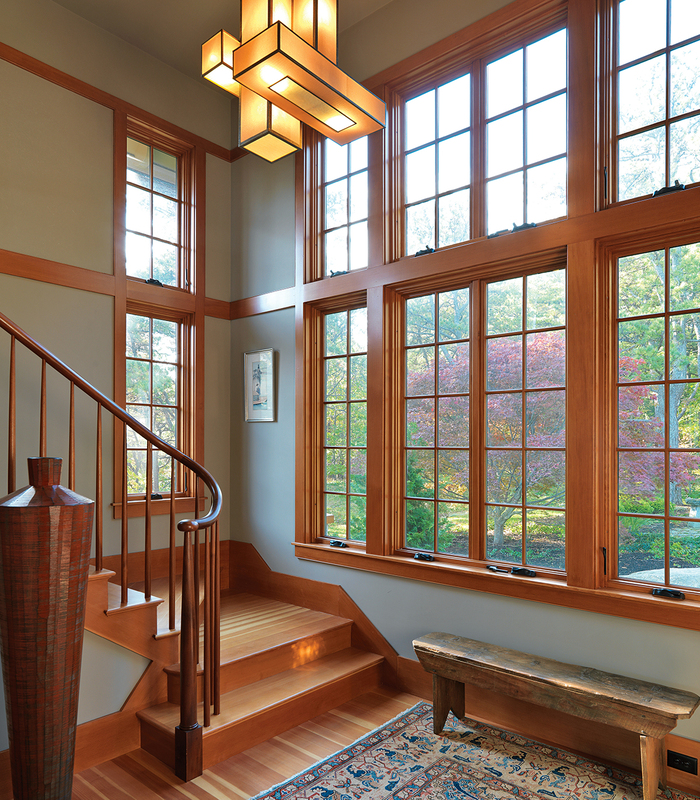 Masters at balancing New England old and new, Carpenter & MacNeille excel at the unexpected, from a local wood and stone Ipswich pool house to the renovation and restoration of a Marblehead Victorian. 106 Western Ave., Essex, 978-768-7900, carpentermacneille.com. More than a century old, Zimman’s is a true fabric palace with all the chenille, linen, velvet, Indian silks, and jacquard you could want—handily organized by color, style, and fabric subtype—plus a custom-design outfit to fill in any gaps. Standout service heightens the thrill of the find at this shop, where modern meets vintage—a velvet tufted chair, a wood beaded chandelier—alongside pieces by local woodworkers and dare-to-dream custom upholstery and design. 50 Water St., Newburyport, 978-462-5566, redbirdnewburyport.com. A North Shore fixture (so to speak) since 2001, the waterfront showroom packs in more than 75 brands, offering styles that range from organic to retro, classic to high tech, with a price-match guarantee to boot. North Shore homeowners turn to this family-owned emporium for all of their carpeting and flooring needs, from Karastan wool broadlooms to a broad range of cork, wood laminate, and linoleum solutions. Offering unparalleled customer service, a low-pressure sales approach, and excellent pricing, A.J. Rose earns its stellar reputation every single day. 136 Cambridge St., Burlington, 617-500-3953, ajrosecarpets.com. While this Waltham mainstay offers custom upholstery lines and a range of delightful casegoods, we come here for the on-trend art selection. Wandering the 5,000-square-foot shop, you never know what you’ll find. Balanced, elegant, smart—the architects at this firm understand the New England design vernacular better than anyone around. With their deep knowledge, they skillfully play with our region’s dominant forms to create innovative and exciting spaces. 30 Monument Sq., Ste. 200B, Concord, 978-371-7500, dskap.com. Woman-owned and boasting a brilliant, remarkably skilled team, F.H. Perry is a national leader in home construction and remodeling, entrusted by the region’s best architects for builds with unprecedented attention to detail. 90 Elm St., Hopkinton, 508-435-3062, fhperry.com. You won’t believe the incredible drapery and upholstery options at this Newton showroom, where you’ll find fabric books and hanging samples from the likes of Robert Allen, Donghia, Sunbrella, and more. 175 North St., Newton, 617-924-6800, fabric-showroom.com. Interior design ideas abound in this oasis of high-end decor accessories, furnishings, and lighting. In-house designers are on hand to help you navigate the incredible selection. 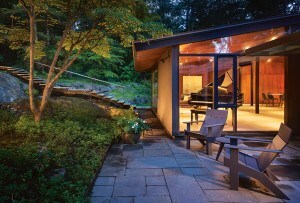 276 Washington St., Wellesley Hills, 781-772-1630, daytonhome.com. More than a lighting showroom, this is where interior designers and homeowners come to get educated about the astounding innovations happening in this illuminating industry. Expert staff ensure that your project is filled with bright ideas. 1339 Main St., Waltham, 781-205-2061, wolfers.com. Since 1934, the Gregorian family has scoured Asia for the finest floor coverings available, from handknotted runners, to woven heirlooms, to antique masterpieces. 2284 Washington St., Newton Lower Falls, 617-244-2553, gregorianrugs.com. A few well-chosen accessories from Trellis Home—perhaps a blue velvet pillow with gold rhinos or a birch-wood tray embellished with tropical parrots—perfectly amp up preppy South Shore interiors. 28 South St., #1, Hingham, 917-678-5861, trellishome.com. Sally Weston draws from New England’s classic architectural tradition to design and renovate elegant homes for the South Shore’s most glamorous homeowners. With Weston, no detail is overlooked. 222 North St., Hingham, 781-749-8058, sallyweston.com. South Shore’s architects appreciate Fabrizio’s ability to turn intricate drawings into homes built to last for generations. Their crew is equally adept at building from the ground up and renovating existing homes. Prolific interior designer Robin Pelissier offers stacks of swatches at her shop, including favorites by Quadrille and Thibaut. Walk-in customers can browse the hundreds of fabric books and samples, surrounded by Pelissier’s inspiration boards. 28 North St., Hingham, 781-740-4843, robinpelissier.com. Interior designer Roberta Sobran has curated a timeless selection of casegoods and upholstered pieces by Noir, Arteriors, and Lee Industries. 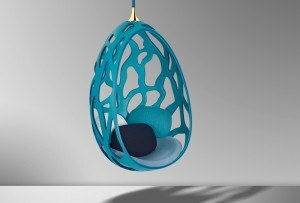 Customers can try out her sofas, armchairs, lamps, mirrors, and more for up to 48 hours before purchasing. 4 Elm St., Cohasset, 781-383-0684, flemingslighting.com. Based on selection alone, the Rug Merchant is the South Shore’s best place to shop for broadlooms. The more than 15,000-square-foot showroom boasts carpet displays organized by price point and application, including natural-fiber selections and hand-made area rugs. 11 Commerce Rd., Rockland, 781-331-5505, therugmerchant.com. There’s a constantly changing, eclectic array of local artwork, lighting, textiles, and larger furnishings at this treasure trove, where owners Herbert Acevedo and Kevin Miller also run an interior and architectural design studio. 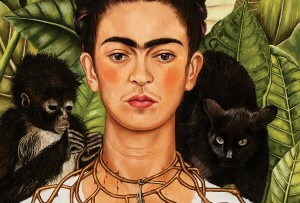 240 Commercial St., Provincetown, 508-487-7467, shorhome.com. 33 Palmer Ave., Falmouth, 508-540-0048, hutkerarchitects.com. For more than 50 years, this family-run business has been known as the go-to place on the Cape for the highest-quality construction. They’ll ensure that the process is seamless and the craftsmanship is unrivaled. 549 West Falmouth Hwy., Falmouth, 508-548-1353, chnewton.com. 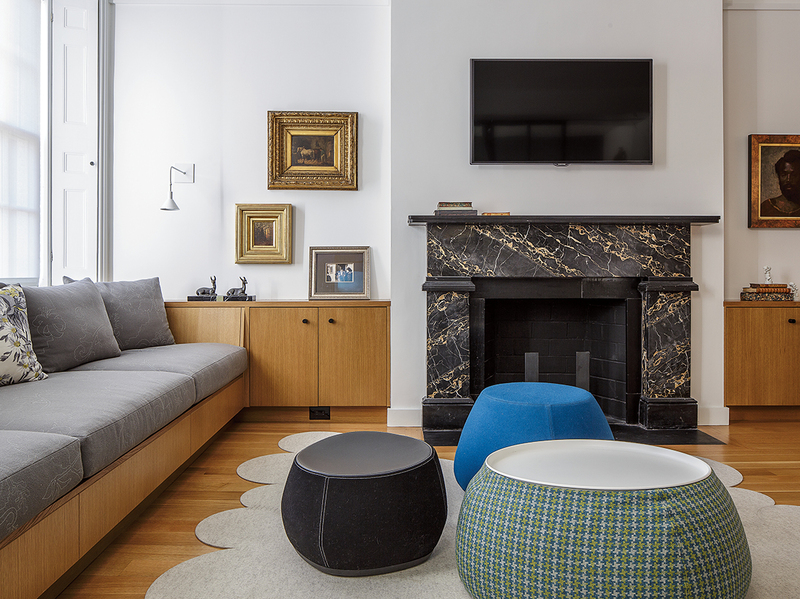 The artfully curated selection in this well-designed 2,500-square-foot space is both unexpected and sophisticated. While most pieces on offer have a coastal flair, you’ll find a mix of timeless and more-modern accents as well. 389 Rte. 6A, East Sandwich, 508-888-8688, casabellainteriors.com. The copper and brass fixtures exhibited in this storied showroom are handcrafted on site. Available in a variety of finishes, the awe-inspiring onion lights, chandeliers, and lanterns make this a destination for design-savvy locals. 17 Jan Sebastian Dr., #1, Sandwich, 508-833-0515, sandwichlantern.com. This mainstay has it all: an immense selection of high-end carpets and a slew of artisan area rugs. Don’t miss the remnant selection downstairs, where you can often score a designer rug for short money. 719 Main St., Falmouth, 508-548-1443, carpetbarnrugs.com.